Good afternoon all Belinda here today and I am sorry for the late post, but the internet has been out due to Hurricane Harvey! We are all fine, but so many of my neighbors and fellow Houstonians are not, prayers to them all. 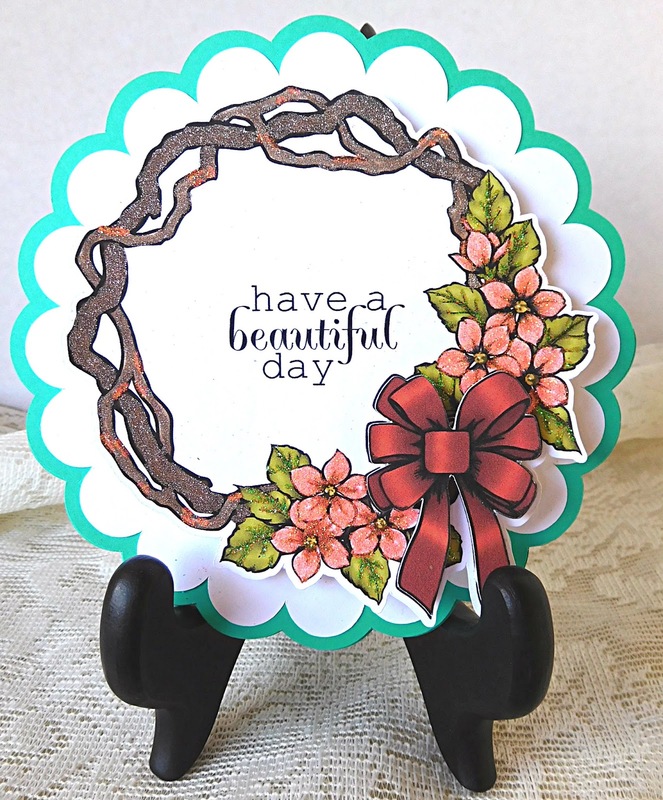 The card base was cut using Spellbinders Scallop Circle dies. 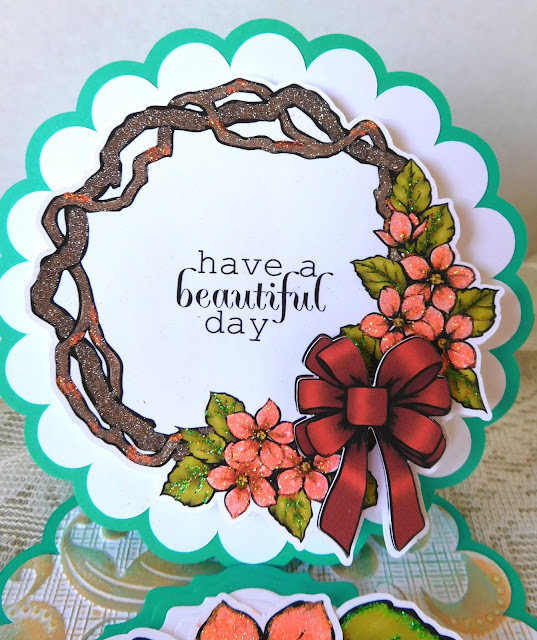 The second layer was die cut and embossed using the new 3d Embossing Folder from Crafter's Companion. The raised area was then colored using the Aquamarine and Coral Calpyso mousse from Nuvo. Small drops of Morning Dew Crystal Drops were added to the embossing areas. This is a look at the card closed. 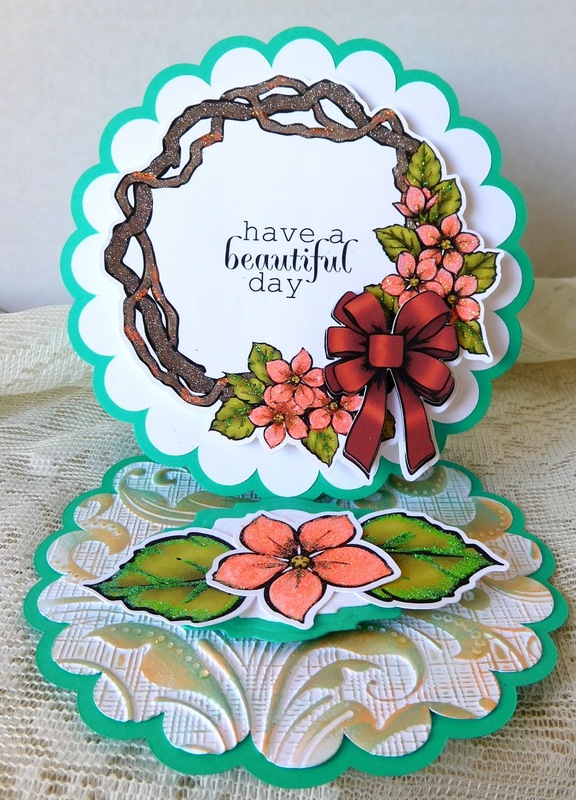 The image was printed using the color stamp set and cut out using the Silhouette. Sparkle was added using a small glue pen from Nuvo along with Sterling, Orange Crush and Spirited Green glitter. The bow was printed a second time and cut out using the Silhouette. It was placed on top using foam dots. The single flower and leaves were printed using the color stamp cut out using the Silhouette and glittered using the small glue pen along with Orange Crush and Spirited Green glitter. 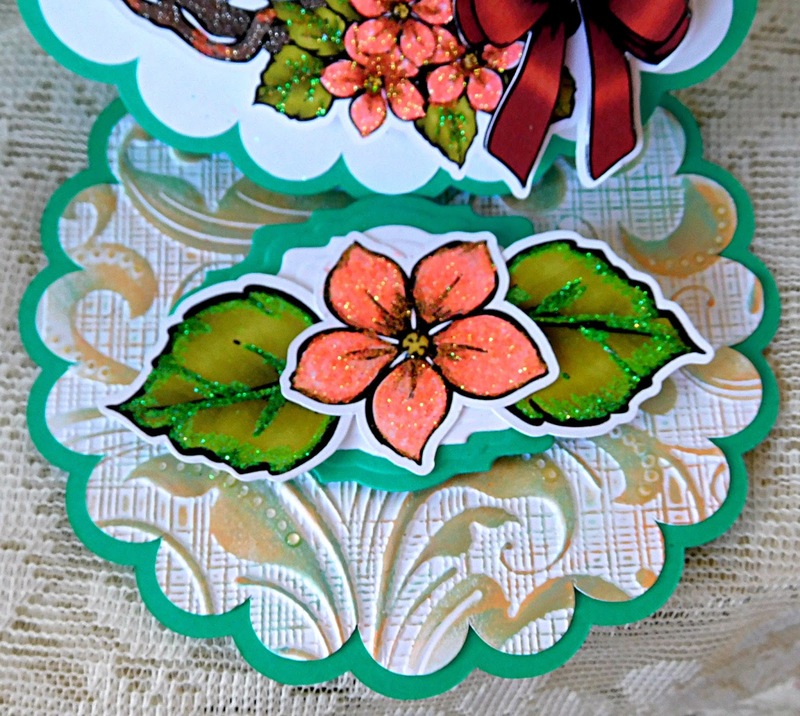 They were placed on top of the labels die cut using the Eastern Oyster Layering Dies using foam tape. Thanks so much for stopping by have a wonderful evening! I just received the 3D embossing folder an hour ago ..I love how you used it in your lovely card. Your card is so unique great inspiration.Thank you so much. I have been praying for all the Houstonians and Floridians.